Looking forward to reading about Niall’s brothers. 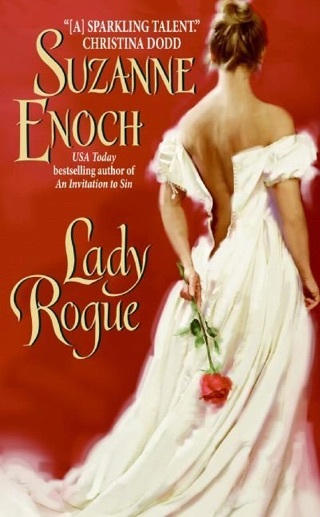 An enjoyable first read by Suzanne Enoch, even if “It’s Getting Scot in Here” is a fairly modern title for a novel that takes in place in 19th century England. Niall MacTaggert of Scottish clan Ross is the youngest of three sons on their way to England to save their home. To do so, they must wed three English women of their mother’s choosing. A mother who, after not being able to stand the Highlands or the man she married, returned to England with her newborn daughter, leaving her three sons in the hands of their father. 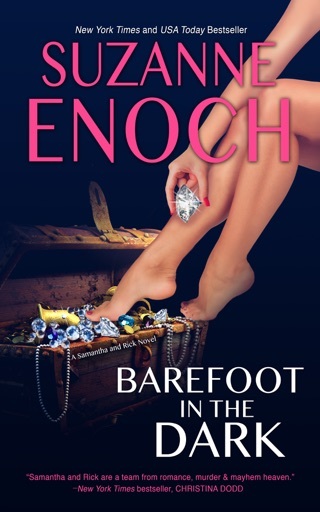 Now that their youngest sister is engaged, they themselves must wed.
Amelia-Rose Baxter is the only daughter of a society climbing mother who only wants a title man for her daughter. Amelia-Rose is promised to the eldest MacTaggert, a Lord, who promptly abandons her during their first meeting at the theatre. Niall steps up and through the initial phases of this relationship, stands in for his brother. As the days go by, he comes to realize his feelings for Amelia-Rose aren’t sisterly and he has no desire to see the couple wed. This was a great story with a fair amount of conflict. There were characters I despised and those I loved. I can’t wait to see who’s up next! I was gifted this ARC in exchange for my honest review. Amelia-Rose Baxter has had 4 offers of marriage but her sharp wit and even sharper tongue has sent them all running. Her parents want a title for her and so they betroth her to Coll MacTaggart, Viscount Glendarril a Highlander barbarian. 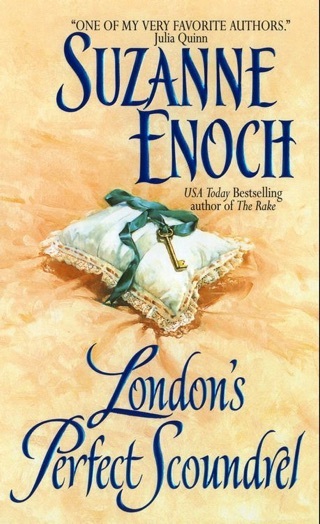 Coll, Aden and Niall MacTaggert are summoned to London by their mother. The deal she made with their father 17 years ago has come to term and they must now marry and to English women at that or they will lose the funding for their beloved home Aldriss. Coll is angry that because of his title he has no choice of who he will marry and he treats Amelia-Rose horribly. Niall steps in to smooth Coll’s path and convince Amelia-Rose that he is a good man and needs time to come to terms with the marriage. Niall continues to fill in for the missing Coll, Amelia-Rose is no dummy and see through Niall’s charade and will use it to suit her. The more time they spend together they’re friendship and attraction grows. With Niall Amelia-Rose can be herself, she does not have to be the prim and proper women her mother demands. Niall sees Amelia-Rose as the lass for him and he will do what he needs to to get her. Niall has no title and her parents will not accept anyone with out one. Everything is slipping from their grasp, Niall just might be to late. I love Suzanne Enoch’s writing and her Highlanders are some of the best I’ve read.